Even though I do not follow the penny superstiton, I do follow many others. My daily routine is filled with superstitions mainly due to my determination to avoid something bad occurring. For the most part, my days are smooth and badluck free, but if one bad thing happens, I will blame it on my lack of following the superstition. It sounds crazy and I can rationally tell myself that it is just a superstition, yet I cannot break the habit. Who was the first person to say this. 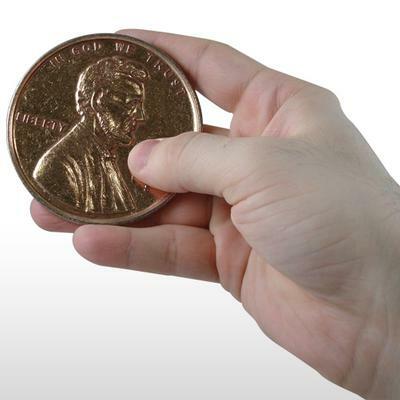 I have always wondered where the old saying 'find a penny, pick it up, all day long you'll have good luck!' actually orginate from. Ryan, I do not know WHO actually started the saying, but I do believe the first explanation for lucky pennies started with the metal superstition stated above, and I believe it was during the Medieval times..? A friend of mine recently experienced a tragedy in her family. Her daughter's fiance committed suicide on New Year's Eve very unexpectedly. There was alcohol involved and he was behaving very uncharacteristically, it was a huge shock to everyone. Ever since then my friend has been finding pennies, both heads and tails up, practically falling from the sky. Shiny new pennies everywhere. Does anyone know of any superstition or connection that they have read or heard of?? I would appreciate any info if you have, thanks!